Have you taken the time to learn about your own heritage?. Samhain is known as the night when the veil between this world and the next is at its thinnest. It's a time to sit back and honor the spirit world, and call upon those ancestors who came before us. After all, if not for them, we wouldn't be here. We owe them something, some gratitude for their ability to survive, their strength, their spirit. Many Pagans choose Samhain as a time to honor their ancestors. If this is something you'd like to do, you can celebrate with a ritual or by hosting a seance or dumb supper in their honor. In addition to these more formal rituals, you may also want to take some time alone for a quiet meditation. This is a point in the Wheel of the Year when the spirit world is a bit closer than normal, and if you've never tried to contact your ancestors before, now is a good time to do it. When performing an ancestor meditation, people experience different things. You may find yourself meeting a specific person that you are aware of in your family history — maybe you've heard the stories about great-uncle Joe who went out west after the Civil War, and now you have the privilege of chatting with him, or perhaps you'll meet the grandmother who passed away when you were a child. Some people, however, meet their ancestors as archetypes. In other words, it may not be a specific individual you meet, but rather a symbol — instead of adventurous great-uncle Joe, it may be a non-specific Civil War soldier or frontiersman. Either way, understand that meeting these individuals is a gift. Pay attention to what they say and do — it may be that they're trying to give you a message. Before you perform this meditation, it's not a bad idea to spend some time with the tangible, physical aspects of your family. 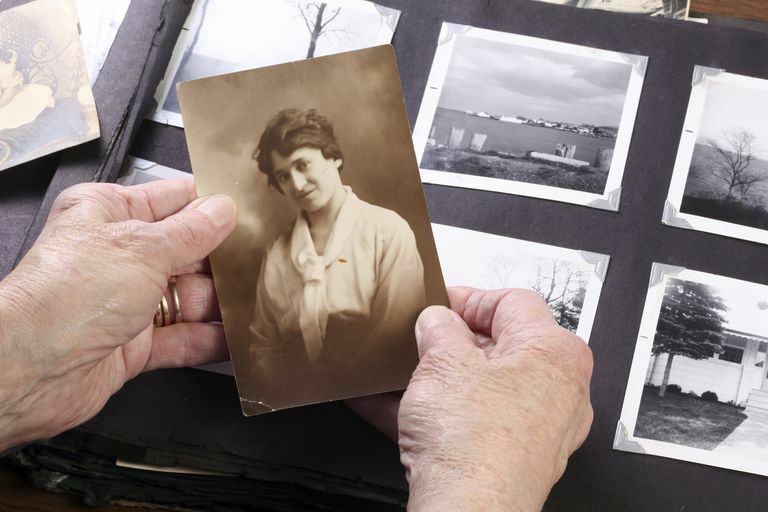 Bring out the old photo albums, read through wild Aunt Tillie's diary from the Great Depression, or get out your grandfather's old pocket watch that almost sank with the Titanic. These are the material things that connect us to our family. They link us, magically and spiritually. Spend time with them, absorbing their energies and thinking of the things they've seen, the places they've been. You can perform this ritual anywhere, but if you can do it outside at night it's even more powerful. Decorate your altar (or if you're outside, use a flat stone or tree stump) with the symbols of your ancestors — the photos, journals, war medals, watches, jewelry, etc. No candles are necessary for this meditation, but if you'd like to light one, do so. You may also want to burn some Samhain spirit incense. Close your eyes and breathe deeply. Think about who you are, and what you are made of, and know that everything within you is the sum of all your ancestors. From thousands of years ago, generations of people have come together over the centuries to create the person you are now. Think about your own strengths — as well as your weaknesses — and remember that they came from somewhere. This is a time to honor the ancestors who formed you. and returned to tell the tale. as she nursed him back to health. and so forth. Go back as far as you like, elaborating in as much detail as you choose. Once you can go back no further, end with "those whose blood runs in me, whose names I do not yet know". If you happened to meet a certain ancestor, or their archetype, during your meditation, take a moment to thank them for stopping by. Take note of any information they may have given you — even if it doesn't make sense just now, it may later on when you give it some more thought. Think about all the people you come from, whose genes are part of you. Some were great people — some, probably not so much, but the point is, they all belong to you. They all have helped shape and create you. Appreciate them for what they were, with no expectations or apologies, and know that they are watching over you. How Do Pagans Honor Their Ancestors?